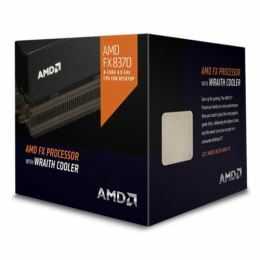 The new AMD FX 8-Core Processor is now faster than ever! It’s still unlocked for your overclocking pleasure, and it’s still the only 8-core desktop processor around. AMD FX processors have broken records before and now it’s your turn. Experience unmatched multitasking and pure core performance with a new architecture and great prices. • The next-generation architecture takes 8-core processing to a new level. Test the limits to play harder and get more done.